Changing rooms have a bad reputation. They are often seen as grungy, grimy rooms with pungent aromas. Adults may remember trying to dress as quickly as they could after a PE lesson, to avoid spending any unnecessary time in there. The stench of stale urine hangs in the air, mixed with sweat and cheap deodorant. The smell of mould penetrates the very walls of the shower cubicles and mud has been ground into the floor tiles. 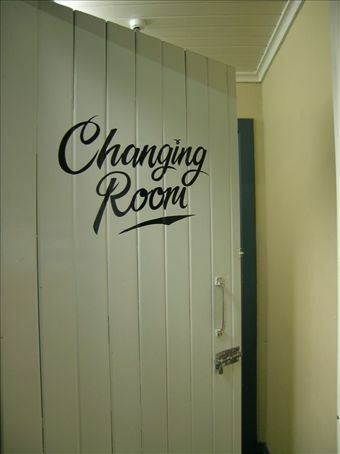 However, with just a little effort, changing rooms can be transformed into hygienic and fresh smelling facilities. If your school’s facilities are in bad shape, it might be a good idea to hire a team of cleaners to come in and give the changing rooms a deep clean. Companies like Nviro have the expertise to ensure the place not only looks immaculate, but is also completely sanitised so any harmful germs or bacteria are eradicated. A professional clean will also mean that the upkeep should be easy to manage, so the changing rooms will continue to smell fresh and look spotless. Changing rooms can be home to several shower cubicles, as well as toilets and urinals. This means that they are likely to smell of mould or stale urine – a combination which is most unpleasant. If you are lucky enough to have windows, keep them open as often as possible to let fresh air circulate the room. Not all changing rooms have this luxury, but that doesn’t mean undesirable smells have to linger. Cleaning the showers and toilet thoroughly will help to banish any pungent aromas. If the cubicles have curtains these should be washed and replaced regularly in order to avoid the build up of mould. Water will inevitably make its way on to the floor if more than 20 children are using the toilets and washing facilities. It is very important that these are mopped up as soon as possible, as it can be hazardous, as well as turning smelly once it becomes stagnant. The doors should be kept open when not in use so the room is as ventilated as possible. Changing room floors should be cleaned as regularly to keep them hygienic. All sorts of bacteria can hide in the nooks and crannies of tiles, especially when they are wet. These germs are then transferred on to the children’s feet, causing things like warts and verrucas. When pupils return from outdoor activities they are unlikely to stop and clean their trainers before they come back into the changing rooms, which means the floor could be caked in mud. This can easily be removed. Sweep up as much dry mud as possible before cleaning the floor with hot water that has some disinfectant in it. Use a cloth mop to dry, or if this is not available, allow to dry naturally. Shower cubicles don’t stay clean for long, especially when they are used by lots of children on a daily basis. As mentioned previously, wash shower curtains regularly in hot water to remove mould and kill germs. If the curtain starts to become discoloured or there is already a heavy buildup of mildew, then throw it away and replace. The tiles should be scrubbed clean, paying special attention to any deposits of mould that may have grown on the grout. Drains should be cleaned often and any clumps of hair should be removed. If possible, avoid using any harsh, chemical based cleaners as they can be harmful.